The magic side of the Christmas season comes alive when you visit Rovaniemi, located in Lapland. That is because Rovaniemi is the official hub and hometown of Santa Claus. This city in Finland hails, as well, as the administrative capital of the northernmost province of Finland, known as Finnish Lapland. Therefore, no trip is complete during the holidays without visiting the hometown of Santa Claus. Naturally, reindeer in this region “rein” supreme as well. 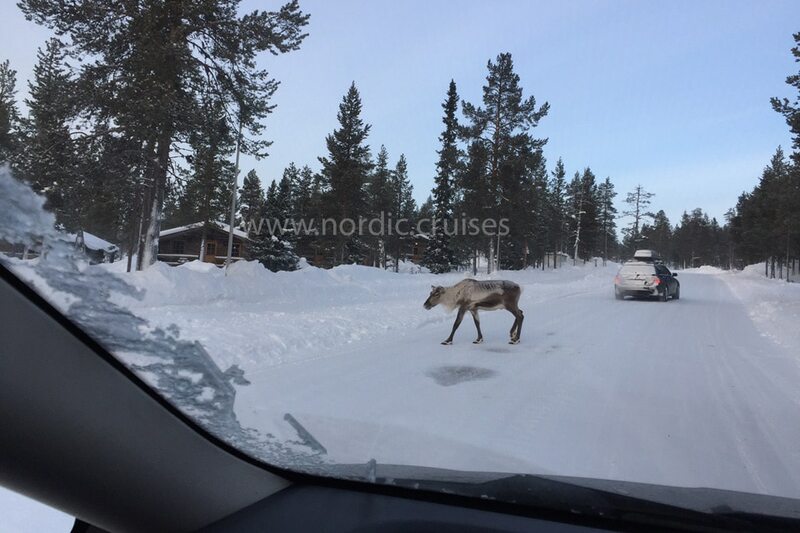 In fact, you need to be cautious when driving through Finnish Lapland from November to January – a time when you run the risk for a run-in with a reindeer. Indeed Lapland would not be Lapland without the reindeer, who the people call the livestock of the sun. According to old Lappish tales and the indigenous people, the Sámi, Jubmel created the Lapland landscape from a baby reindeer. Rocks were formed from the calf’s bones and the earth from the animal’s muscles. However, the Creator embedded the calf’s heart deep inside the soil. If you listen closely on a silent winter’s day, you can sometimes hear the calf’s soft heartbeat. Either that, or your ears are frost-nipped. Regardless, you cannot go too far in this part of the world without seeing a reindeer. After all, it is hard to miss those antlers, even if they do serve as camouflage in the Lapland forest. Reindeer also go by other names, other than Rudolph, Dancer, or Prancer. For example, dark-colored deer are called musikki while the light-colored reindeer go by the name of suivakko. Some of the deer, which are pure white, blend nicely with the winter white terrain. They are referred to as valkko. If you see a reindeer whose muzzle is white, he is referred to as kalppinokka. Indeed, reindeer adapt well to the cold, as the oleic acid in their legs prevents their legs from freezing and their blood flow is robust so they can cope well to the arctic climate. The dense winter fur on their bodies safeguards them from arctic extremes in temperature. 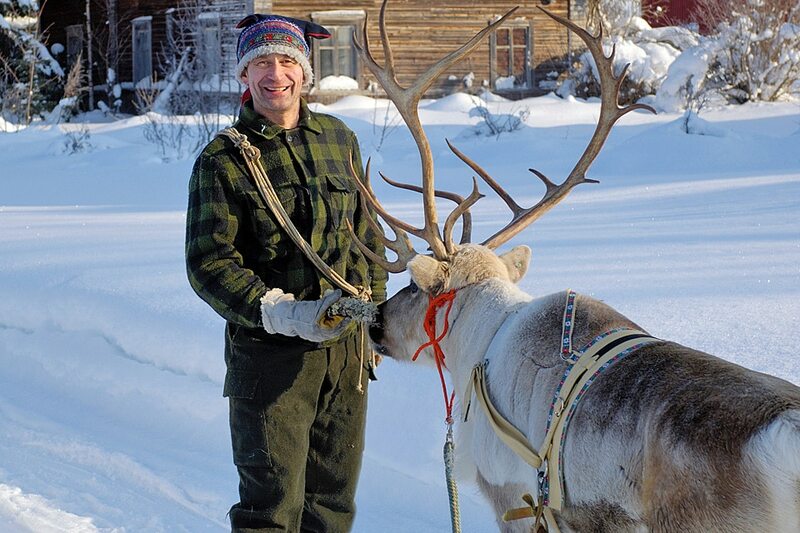 Reindeer provide nutrition to Lappish people, as the meat is fine fibered and therefore easy to digest. Cooks use reindeer fat, known as spoke, in Lapland cuisine as well. Santa enjoys the reindeer milk the deer provide, as it provides three times more energy than what cow’s milk offers. Laplanders drink the milk, as is, or consume it diluted with water. The milk is used in cheese and butter, and in cosmetic products commercially. However, it tastes best in cheese and butter. Reindeer husbandry and herding all contribute to the vocabulary in this part of the world. For example, elo are reindeer livestock while jutaa means to travel. 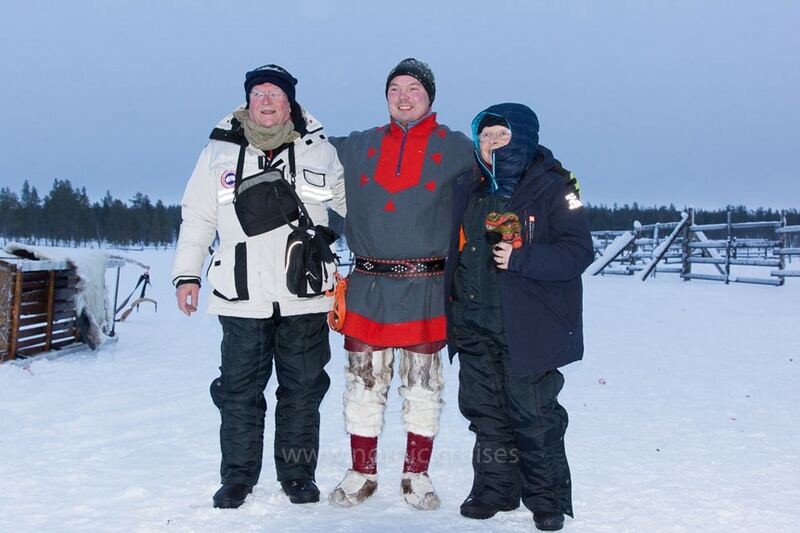 Kallokas are fur boots made from the skin of a reindeer’s skull while a nulppo is a reindeer without antlers. A parttio is a small herd of reindeer while a raavas is a reindeer, fully grown. With that being said, the best way to enjoy reindeer in Finnish Lapland is to reserve a sleigh ride, also considered a safari by some. Having reindeer guide a sleigh gets you in the Christmas frame of mind fairly fast. While some people have husky dogs guide a sleigh or others choose to travel by snowmobile, the true adventurers select reindeer as their guides. 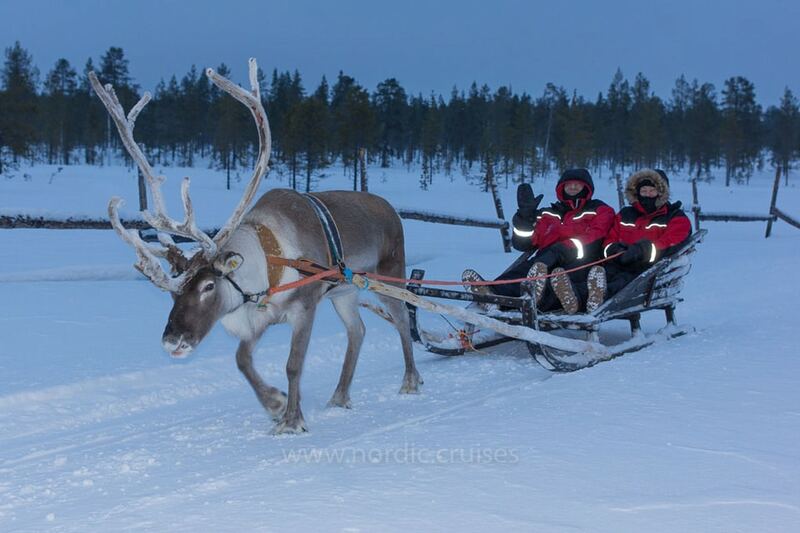 When you take a sleigh ride, you can explore Finnish Lapland up-close and personal. Many of the rides originate from Santa Claus Village in the winter – no reservation required. 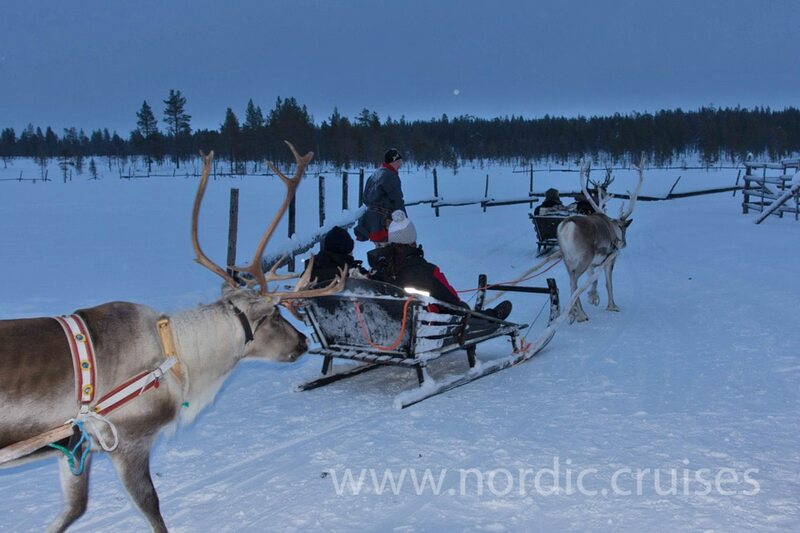 Participants can earn a reindeer driving license as well as a special certificate for crossing over the North Pole. Maybe you would like to see Lapland at night. If so, you can book a sleigh ride and see the beautiful Northern Lights. This is one unique way to entertain the whole family in the winter, especially at Christmas time.